I have hundreds of cookery books, many of them rather battered and sticky from years of use. So I thought I’d start a list here. It might take some time to complete but I shall try to do a link to the relevant websites if they are still available and a note of what I think of them. 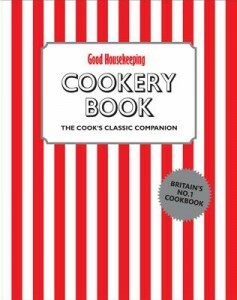 My personal cookbook bible is the Good Housekeeping Cookery Book. I think my version is a 1970’s edition. The original paper dust cover has long gone and the hardcover has been covered and recovered with sticky back plastic to preserve it. Every single recipe works brilliantly and the book has been going, with various revisions, for nearly 70 years. On looking it up to provide the link, I discovered there was a new version out in 2014 – so writing this page has just set me back £10! Click here to read my full review! A recent success story of a cookbook is Jack Monroe’s A Girl Called Jack, which I confess I bought on the recommendation of a Tweet. I’ve bought 3 of these as gifts and know I’ve been responsible for at least 4 other purchases of this one – one of which because I loaned my version to a friend who used so many of the recipes she made my version all sticky and felt she’d better buy me a new one! 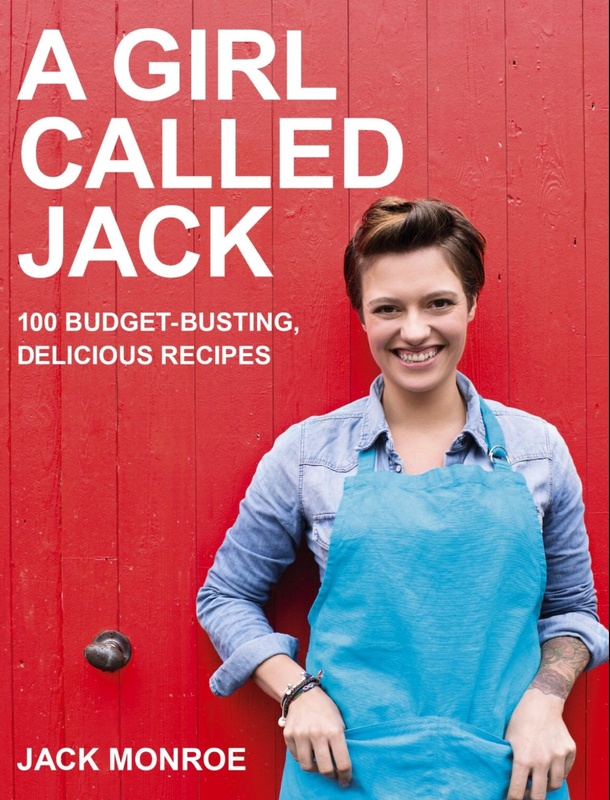 I can’t recommend this book enough to anyone trying to work to a tight budget – she started a food blog when she was trying to feed herself and her small son on a budget of £10 per week! Nigella recommends it too. What’s lost in cost is definitely not lost in flavour. Click here to read the full review! And then we come to the Food Maven, Arthur Schwartz! 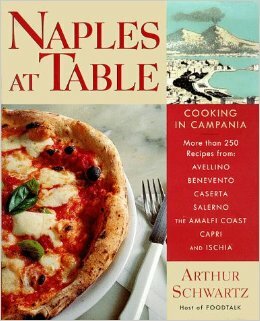 I have several, possibly all of his books but this one, Naples at Table is one of my all time favourites. It isn’t just a cookery book but a travel log of food as well. I came across it when an American friend told me about a recipe in which the pasta was cooked in a wheel of parmesan – I’ve still not managed to actually produce that but the idea of the wheel forming the bowl for a sumptuous and gooey risotto is still bubbling in the back of my brain…….one day……sorry, floated off to a happy, dreamy, food place there for a moment! 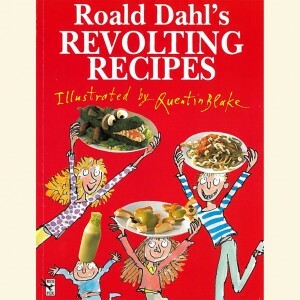 For cooking with children and for pure joy and silliness, you can’t go wrong with these two wonderful books based on the stories of Roald Dahl. Izzy has probably attempted 75% of these recipes. 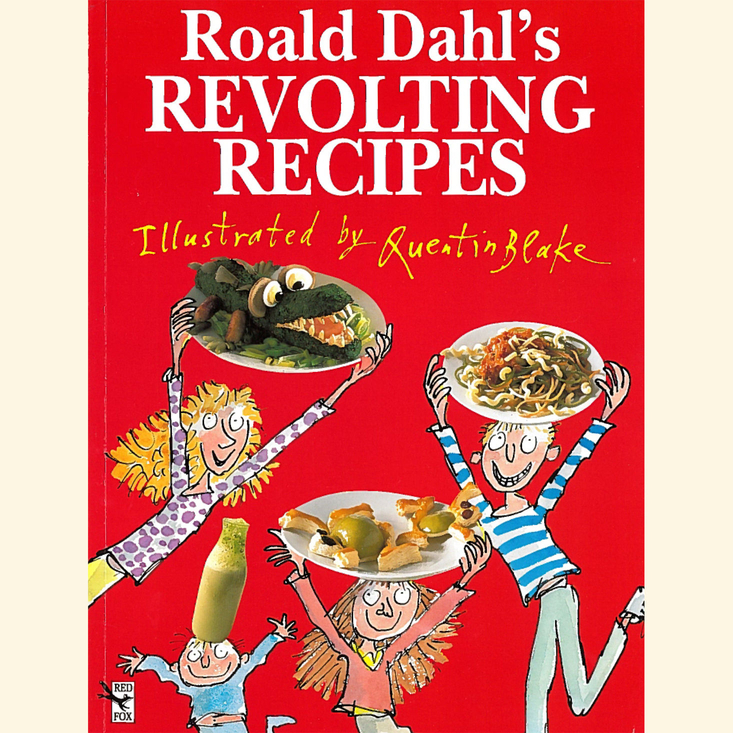 The enormous crocodile from Revolting Recipes is a must for a children’s party buffet and who wouldn’t love to know what a Glumptious Globgobbler tastes like from Even More Revolting Recipes. The illustrations are fabulous as are the descriptions taken straight from Dahl’s many fantastic stories. Oh the wonders of the internet and shopping on Amazon! 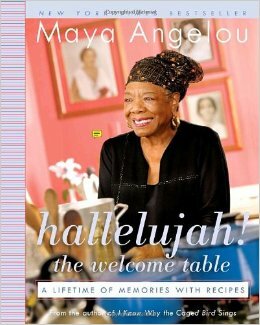 At the very beginning of my internet shopping adventures, back in about 2004, I had managed to drop my copy of Maya Angelou’s book I Know Why The Caged Bird Sings into a puddle whilst moving house so ventured onto Amazon to order another copy and came across this, a cookbook by this amazing woman. I’ve always been a bit of a sucker for a cookery book from any old Joe so there was no resisting this one: Hallelujah! The Welcome Table. It isn’t just a book of recipes. It is a wander through the life and memories of such a wonderful woman, punctuated by memories of food. Be warned, there is nothing lettuce-and-cucumber-good-for-the-waistline about these recipes. They are in large part recipes made by poor black families of the South, used to going without and making do but equally making the best of what they had. From it, as well as enjoying a great read, I learned of such wonders as Red Rice and Smothered Chicken. None of this is really the kind of food I would normally eat but I couldn’t resist trying probably 50% of these recipes from time to time. The red rice and smothered chicken have made more than one appearance though and there’s something really comforting in both cooking and eating them. The supermarkets seem to stock so many World foods these days that the ingredients, if you don’t already have them, are relatively easy to source but do make sure you have a search through the internet to make sure you know what you’re looking for – what we call cornflour, Americans call cornstarch for example. The recipes are written in a really simple easy to follow format – can’t recommend it enough, although you might need my conversion chart for oven settings! I bought Levana’s Table for one recipe – her brisket. It is simply divine. I’d had it in her restaurant, now sadly closed, some years before and once I’d started internet cook book shopping there was no stopping me. Her lekach, or honey cake is pretty jolly fabulous too. 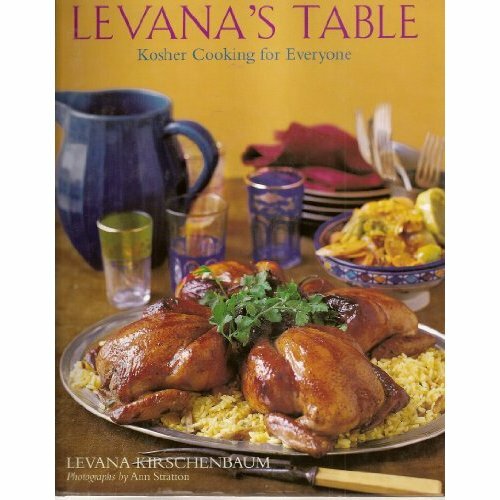 The book is in American cups measures but other than that, if you’ve ever wanted to venture into the comforting, food-cuddle that is the world of Kosher cooking then this is as good a place to start as I can think of. I am a big Nigella fan and I know lots of people rave over her brisket recipe – it is good but having tried many, many, many different ones, I’m afraid it is only a good second place after Levana’s. Arthur Schwartz takes third place (mind you his kreplach takes some beating……a review for another day me thinks)! About 20 years ago, whilst on holiday in Spain and searching for a restaurant that didn’t serve “English Pub Grub” (why, oh why do Brits abroad want pie and chips?) I came across a lovely little restaurant, brimming with actual Spanish customers, which didn’t even have a menu in English. We had to try it out. It was a Monday so they wouldn’t serve me paella, the reason being that there is no fresh catch to make it with on a Monday as the fisherman have Sunday off. It was music to my ears so I explored dishes I might not otherwise have tried and returned the next day for paella. On both visits I had garlic soup as a starter and it was delicious. Ever since, I’ve searched for a recipe which comes something near. I think I did make it once or twice when I got home, having asked the waiter how it was made but I didn’t write it down and gradually forgot quite how. Every recipe I have come across since has been for a very different kind of soup – this one was clear and light whereas all the others seem to be thick and creamy. 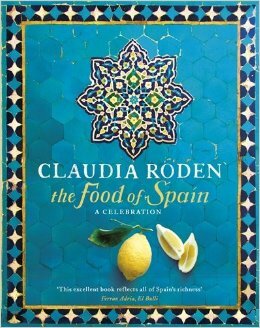 Then about 18 months or so ago, I spied a copy of Claudia Roden’s The Food of Spain on a friend’s book shelf and had a flick through. I already had Arabesque, which is full of fantastic spicy Middle Eastern delights so was interested to see what her take on Spanish food might be. I was so thrilled to see that her garlic soup recipe was exactly what I had been looking for too that I stopped at Waterstone’s on the way home and bought the book! Having bought the book I then had to try the Lobster hotpot recipe. It was a well justified choice. I quite enjoy locality themed dinner parties and this book is definitely my go-to choice for the foods of Spain. As it’s half term, my mother and I took my daughter and a friend out shopping for the day on Tuesday to Bluewater, which for those who aren’t from these parts, is a mahoosive shopping centre. Well I say we took them shopping, we delivered them to the centre, let them do their thing for a few hours and then drove them home. 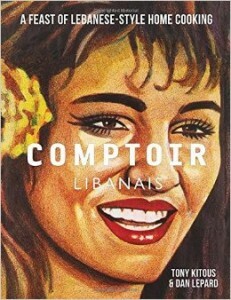 We didn’t shop, we sat for a couple of hours in a fabulous Lebanese restaurant, Comptoir Libanais, picking at various mezze dishes, which has become our Bluewater ritual as we are both of the mindset that we’d rather have our eyes poked out with hot pokers and then have our toes fed to ravenous ferret-faced swamp monsters than wander around River Island, The Gap etc through throngs of teenagers, all moaning at their parents. 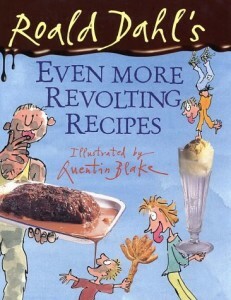 Whilst dining, I spied this cookery book on the shelves and thumbed through it. It’s my birthday in the not too distant future and Mum never knows what to get me so she decided to get me something she knows I want now. So I got a new cookery book. Because I have so few. I needed it. I love North African cooking and this doesn’t disappoint – it’s worth buying just for the pomegranate and orange blossom water lemonade recipe alone. Does it say something about me that I have already pimped it by adding triple sec and vodka? I feel a cocktail section of this blog coming on! Think I shall dub this one the Comptoirpolitain! Lots of fabulous salads and great mezze ideas. I imagine a dinner party in the not too distant future where we don’t get as far as pudding, maybe not much past an array of starters actually…..particularly if we have a few of my new cocktails with them! 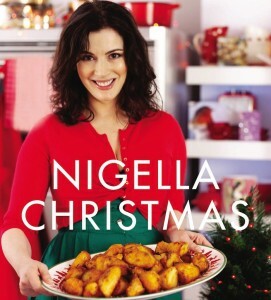 I have quite a few Nigella books but Nigella Christmas is my standout favourite. She may not be the most technically gifted chef on the planet but I love that she is the first to admit that and that she cooks like a real person. I get the impression that she, like me, finds cooking a sort of meditative process. I was amused to notice that in a recent picture of one of his kids posted by Gordon Ramsay that there was a Nigella cookery book on the kitchen shelf in his house too! It may seem an odd time of year to be reviewing a Christmas cookery book but I make no apology for that on any front – not least because I’ve used it this very weekend. I made poinsettia cocktails, which sound ever so seasonal but personally I think they make the perfect summer party cocktail too. I’m a cheap skate when it comes to cocktails and don’t use real champagne – I used a magnum of fizzy wine I bought for £4.99 on offer in the supermarket and frankly, once you’ve added orange liquor and cranberry juice, you really can’t tell the difference. And yet again, I’m thinking of having a cocktails page – not really on message with feeding fussy kids though is it?! It’s a really refreshing easy drink. Obviously, there are far more recipes than just boozy ones – not that there’s anything wrong with that! The recipe I probably use the most is her brined turkey. I’ve seen all sorts of Christmas turkey comparisons by various cookery writers and they all start off being a little sceptical of Nigella as compared to, say, Delia or the aforementioned Mr Ramsay. But once they start cooking and more importantly tasting the finished product, I’ve yet to find one where she doesn’t win hands down. I certainly use it every time and it can’t be faulted. I did struggle to find some of the ingredients on Christmas Eve the first time I did it but then realised that the pickling spices I already had, had pretty much all that was needed and in particular the allspice berries. Handy tip if you are struggling for a receptacle large enough to brine your turkey is to use a TubTrug – they are easy to transport too. As for tips on how to stop the dog drinking the brine water – well, sorry, not my area of expertise! I have adapted the recipe for chickens too – it produces a really moist flavourful roast. As a long term fan of Momo’s restaurant in the West End, after a mis-spent 30 somethings spent dining at Momo and moving on to a nightclub called China White and feeling very much “doing the in thing” I was really excited to find there was a Momo cookbook and this didn’t disappoint. 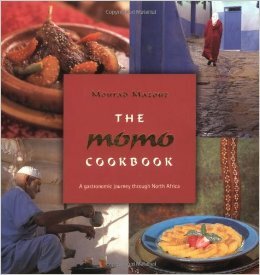 For those who aren’t in London, Momo is the restaurant of Mourad Mazouz (the author of The Momo Cookbook) serving mainly Moroccan food. Having had a holiday in Morocco as a teenager and not having enjoyed the cuisine served at the holiday club we stayed at, I was a bit suspicious of anything that involved couscous until I was taken to Momo and at that point, I decided the cuisine of North Africa was definitely worth a second look. Part travelogue part cookbook, I really enjoyed reading this as well as trying out the recipes. It provided my first recipe for preserved lemons, which includes covering them after a few days with oil to prevent mould growing. Most others simply cover in lemon juice and the oil trick is definitely worth knowing. There are lots of great tagine recipes in their too. I was surprised there wasn’t a hummus recipe but found a recipe for chickpea puree, served hot, whilst searching for the hummus, which wasn’t something I’d previously tried and it was well worth it. I’m not sure if the book is still in print but there are certainly plenty of copies available second hand on Amazon. I loved Rachel Khoo’s Little Paris Kitchen TV series and bought My Little French Kitchen by mistake thinking it was the book of the series – it was a happy mishap as it has some fabulous recipes, gathered from all over France. She’s a really accomplished cook/chef and yet she manages to bring a fabulously elegant simplicity to her cooking. She’s also the only person I know who has a smaller kitchen than me! I have a number of her books now, including the one I thought I was buying originally, and must get her latest, Kitchen Notebook, soon. 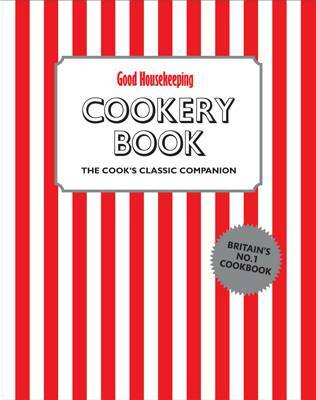 No – it isn’t possible to have too many cookery books! 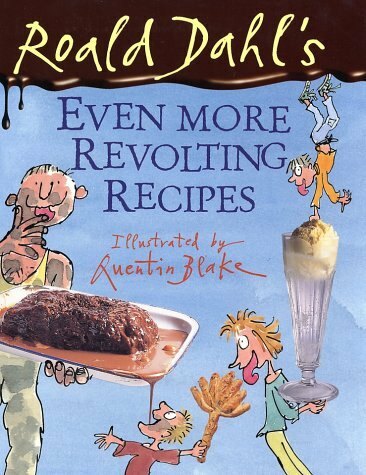 The recipes I’ve really enjoyed from this book are her savoury takes on what we think of as classic sweet dishes – there’s a fabulous carrot tarte tatin, to which I did a Tom Kerridge and added some star anise to the carrot cooking stage – just lovely with a salad and some goat’s cheese……whoops, drifted off to the foody happy place there for a second! Another example is her tomato and lentil millefeuilles which was packed with fabulous vegetables and looked so professional when served, I quite impressed myself! 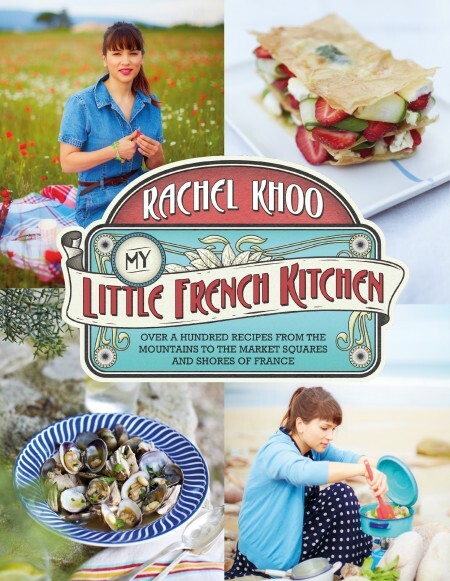 From Rachel Khoo’s TV show I gathered one really great tip, which I now observe religiously and that is not to scrape up my chopped food with the blade of the knife and to use the blunt back of the knife for that so that I don’t dull the cutting edge. So thank you Rachel for that one – my knives are much better for it. 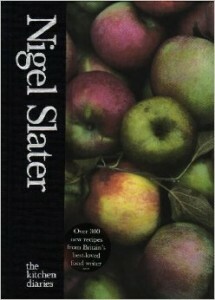 Nigel Slater’s The Kitchen Diaries is a book I bought as part of a cookery book club I used to run. We all bought the same book and tried out various recipes and then met up a month later to compare notes on which recipes we rated and which books would be on their way to the Charity Shop now we’d tried them out. Unfortunately, three of the other members moved away and then I moved and it all fell by the wayside after a year. I have quite a few foodie friends so I really should try to start it up again. The Kitchen Diaries did manage to survive the Charity Shop cull although it isn’t a book I go to very often. I think it’s downfall for me is also part of what I quite like about it too – yes, I know that’s a contradiction – in that it doesn’t have easily accessible sections for food types/groups. It is what is says on the tin – a diary. So the recipes are all seasonal and appropriate for the time of year. But if I am looking for a chicken recipe, I can’t open a section on poultry and have to trawl through the index and flip back and forth to see if there is something I’d like to cook. The roast chicken with cheese mash and garlic gravy is very simple to make but it really suits a cold, wet, November day, it is true but baked onions with Parmesan and cream is a dish I’d eat all year round but didn’t really notice until I started writing this review. Going to try it with a watercress salad for lunch today! I like the rich feel of the thick cream paper the book is printed on and the slightly dull effect this has on the photography which makes the food look real and not airbrushed and glossy. Overall, I can’t say I’m a big fan of Nigel Slater as a TV personality, although he does get a big thumbs up for not being an over-salter! I do, however, like his style of writing and have since purchased a couple of his other books. You don’t need to be Masterchef material to follow his recipes and the results are on the whole tasty and rather good. A quick look at this page and I notice a theme – red is obviously a popular colour for cookery book covers!